After numerous delays and challenges the East Hangar Bay of Hangar 6 is complete. 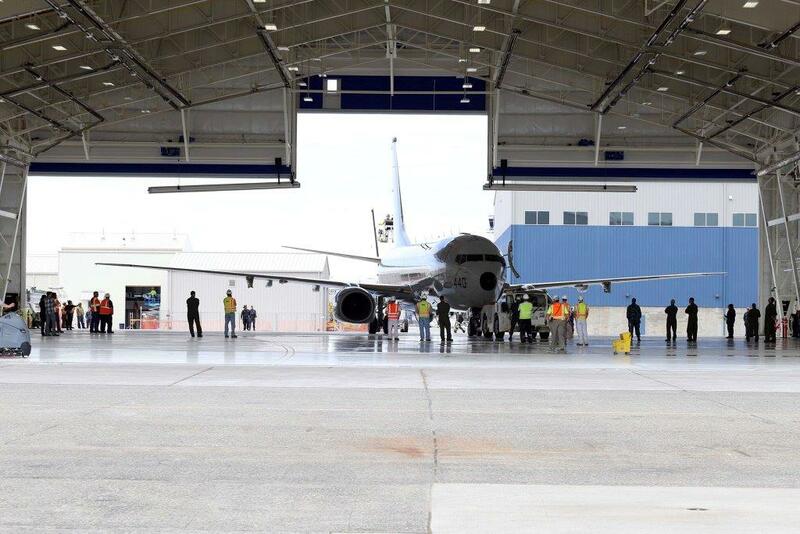 The Navy moved the new P-8 aircraft into the bay for the first time on July 20th while the aircraft was at NAS Whidbey for the base open house. Everyone waited with crossed fingers and baited breath to see if the large aircraft would fit. Navy personnel carefully maneuvered the big bird into place. The team breathed a sigh of relief when the thumb’s up was given all around. Work continues on the Center Section and West Hangar Bay.